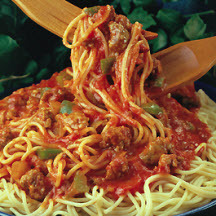 CooksRecipes has quality, kitchen-tested recipes for ground pork pasta dishes that you can count on for successful deliciousness. This dish take pantry staples and turns them into a quick and delicious meal. 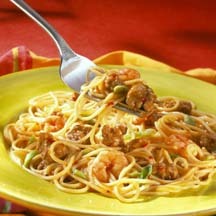 The surprising combination of ground pork and shrimp adds a unique flavor to this Asian-inspired pasta dish. 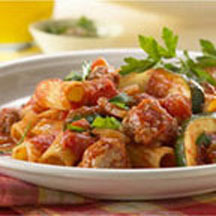 Pork is the meat of choice in a classic simmered Bolognese sauce. Try this simple formula—it will become a favorite.